Gold Coast Greyhound Adoptions, Gulf Coast Chapter is a 501(c) (3) non-profit all volunteer organization, that is racing neutral and dedicated to the placement of retired racing greyhounds into qualified, caring and loving homes. 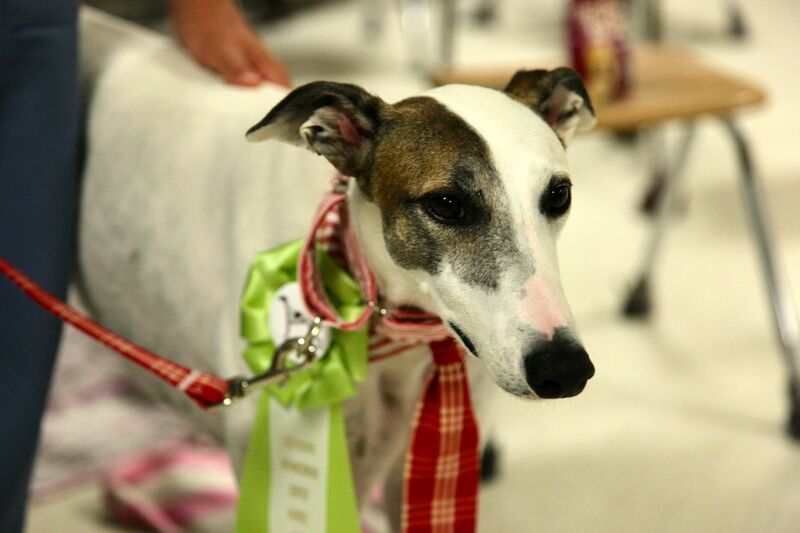 It is our mission to educate the public regarding the gentle nature and wonderful temperament of the greyhound breed. This very ancient breed is the fastest dog in the world and can reach speeds of over 40 miles per hour (65 km/h). Carvings of the Greyhound were found in tombs in Egypt dating back to 2900 B.C. They are thought to have originally descended from the Arabian Sloughi the and brought to England by traders before 900 AD. The breed was first brought to America by the Spanish explorers in the 1500s. They were one of the first dogs ever to be shown in a dog show. The Greyhound’s natural quarry are the rabbit and hare, however it has also been used to hunt stag, deer, fox and wild boar. The dog’s speed along with its keen eyesight helped it excel at its work. The dogs were able to chase and catch the pray without stopping to rest. Today there are two types of Greyhounds being bred: Show lines, which conform to the written standard and racing lines, bred for speed. The Greyhound was recognized by the AKC in 1885. The Greyhound’s talents include hunting, sighting, watchdog, racing, agility and lure coursing. The Greyhound makes a wonderful pet and lifetime companion. One of the best things about owning a greyhound is how easygoing and sweet they are, enjoying nothing better than having someone hang out with them and be a tummy scratcher! You may be surprised at how long this breed enjoys this particular activity, especially since it would seem she was born to run! Other winsome traits include natural cleanliness and good manners. This breed naturally exhibits patience and gentleness, even though they can weigh between 50 to 80 pounds as adult dogs. If you adopt a greyhound puppy, you'll find they need a lot of exercise and gentle guidance — the sooner the better, so they don't start bad habits that are difficult to break later. Older dogs of this breed who have been used to the racing circuit with lots of noise and traveling may need patience to transition into a household.